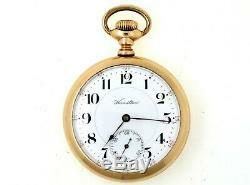 This is a truly rare model mans Hamilton watch. It is 16 size, open face, stem wind and pendant set. Adjusted, serial #50833 dates this movement to 1901. 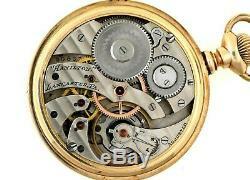 It is a grade 964 movement, from a run of only 100 pieces, and a total production of only 340 pieces ever!!! 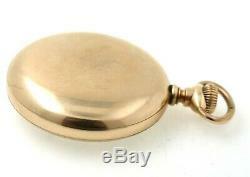 The movement plates are excellent, and not scratched, abused, or overcleaned. Also, it is marked with the Hamilton name, and not a retailers name, which makes it more desirable. The movement is a strong runner. 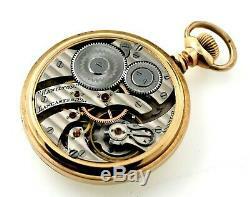 I have not had it cleaned or serviced, so I cannot guarantee it to be a reliable timekeeper. 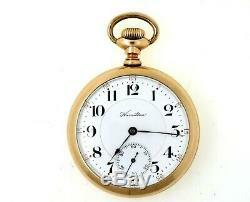 The porcelain dial is very good, with a fine hairline near 1 oclock. This is highly unusual for this model. The case is plain, screw back & bezel. Marked Fahys MONTAUK GUARANTEED 20 YEARS. 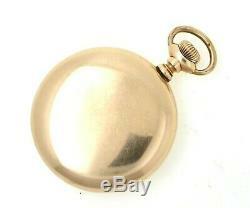 The case has is not brassed. It has no dents on the case back, and no monograms. There is one very slight edge dent, but that is all! 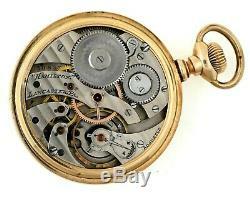 The case has no extra screw marks, and has only ever held this movement. 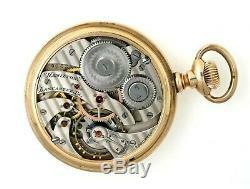 A key Hamilton watch for the advanced collector. 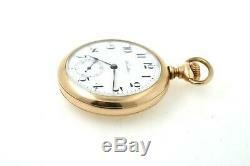 The item "RARE Hamilton S16 Grade 964 17J Pocket Watch With Original Case 340 PRODUCED" is in sale since Wednesday, March 20, 2019.